This post was first published by MyLondon on 06/02/2019. Around 25,000 people have already visited FunHouse since it opened. It’s no surprise that since it opened two months ago, FunHouse has been incredible popular. Around 25,000 people have so far visited Croydon’s newest bar, sampling the two adult-sized ball pits, pool tables, ping pong tables, beer pong tables and two bars. And the High Street venue hopes visitor numbers will rise further still as it has now decided to allow children to enjoy the facilities as well as adults. On Monday (February 4), FunHouse announced its Mini Ballerz events, which give children between the ages of eight and 16 the chance to have birthday parties at the venue. As well as being allowed unlimited access to the two ball pits, which contain 200,000 balls between them, children can also play ping pong and pool. Food such as pizza, nuggets, chips and pasta also comes as part of the package, as does a variety of soft drinks. 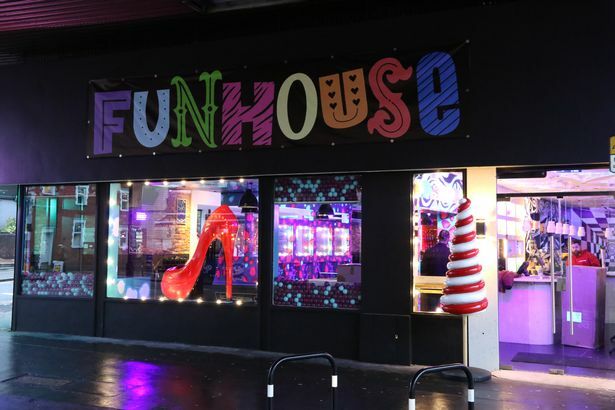 Tav Sanassee, activities manager at FunHouse, believes the venue will host birthday parties which will be “remembered for years to come”. He said: “In two months, FunHouse Croydon has provided a large amount of fun and memories for 25,000 people and now kids get their turn as well, as with the introduction of Mini Ballerz kids can have fun too with their friends on their birthday. The parties can be held from late morning to mid-afternoon seven days a week, and will be separate from the adult events which take place between 4pm and 4am. Due to fears “kids might get lost” in the huge ball pits, children under eight years old are not allowed to attend the parties, however. Prices vary from £10 to £20 per child depending on the size of the party. Located opposite Club 88, FunHouse took over the site which used to be home to Casafina and The Big Eat American Grill. It first opened its doors on December 1 and is open seven days a week between 4pm and 4am. 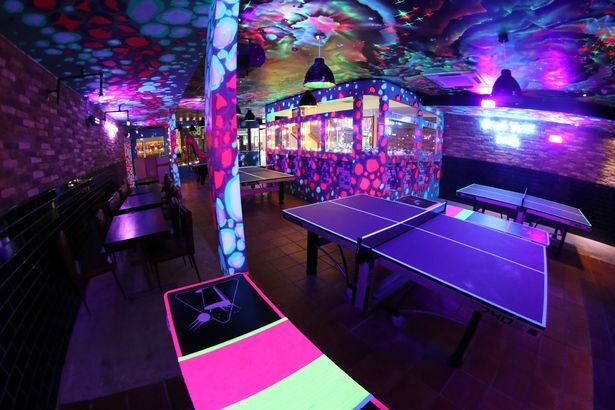 Owned by the same management team who run Club 88 and the Memory Box bar, the venue boasts a quirky interior, with captivating UV colours and large eye-catching props. The two adult-sized ball pits are without doubt the main attraction. Tables and chairs are placed around the venue, while a DJ is booked to play a range of music every Friday and Saturday. Food is also available, with chicken wings, chips, mozzarella dippers, nachos and pizza all on the menu. 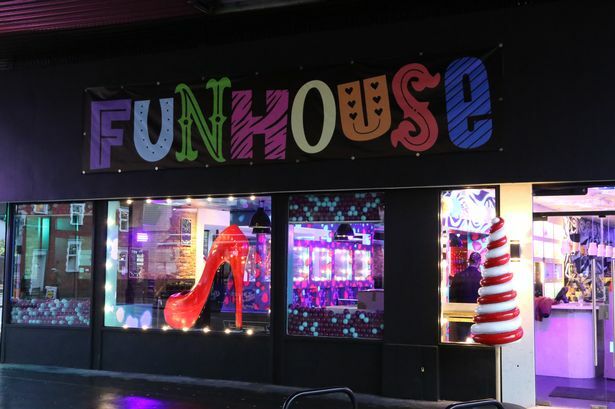 Mr Sanassee previously said FunHouse will offer “something completely different” in Croydon. “I think Croydon does need something like this as if you look at the places you can go in Croydon at the moment this is different,” he said. “You have restaurants, clubs and pubs. You have to go to places like Shoreditch for something like this and we feel this brings something totally unique. If you’re an adult, booking a visit to FunHouse will mean reserving a two-hour slot in one of the ball pits. Weekday tickets cost £5 when booked in advance online. “Funky Friday” tickets – for between 4pm and 8pm – also cost £5 in advance. The cost rises to £7.50 from 8pm until 2am. “Balls Out Saturday” tickets are priced at £7.50 in advance. If you want to book a children’s birthday party, you need to visit www.funhousecroydon.co.uk/kids-parties/ . Plenty of notice needs to be given. Alternatively, email info@funhousecroydon.co.uk or go to www.funhousecroydon.co.uk .